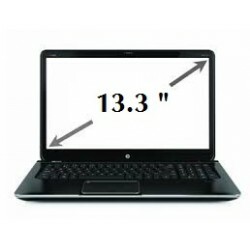 B133EW01 CCFL 30 pin LCD 13.3" Screen Size : 13.3-inch WideScreen (11.3"x7.1")Back Light Type : ..
13.3" LED SCREEN FOR APPLE MACBOOK PRO 13.3" A1278 LTN133AT09 6-MONTH WARRANTY Internal Code :..
CHIMEI INNOLUX 13.3" LED Notebook ScreenInternal Code : N133BGR-LB1 .. LED NOTEBOOK SCREEN 13.3" LED WXGA HD SLIM 40PIN 6-Mo WarrantyLCD Slim Screen HD, LED Backlight Inte.. LED Laptop Screen 13.3" WXGA (1366x768) HD 40-PIN Right-Connector (3 Holes on Side Brakets) N133BGE-..
Notebook 13.3" LCD Screen CCFL 30pin WXGA 1280x800 6-Month Warranty Internal Code : ..
APPLE MACBOOK PRO 13.3" SCREEN B133EW03 V2Compatibility: B133EW03 V2Condition: New (OEM)Screen..